Visit our online store for easy ordering of NOS and new production vacuum tubes. Choose from names like RCA, Mullard, GE, Philips, Amperex, SED (Svetlana Electron Devices), Sovtek, JJ, Tung Sol (NOS and Reissue) and Electro Harmonix. We specialize in amplifier repair and guitar amplifier modification of vintage, hand wired tube amplifiers. Fender and Marshall amps are our focus. 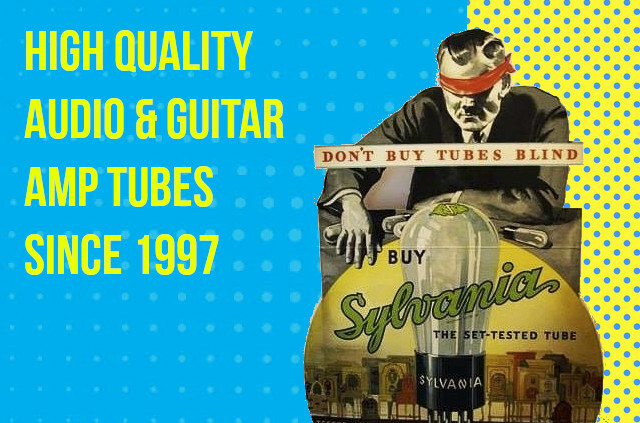 Your best source on the web for Guitar Amplifier Parts and Guitar Amplifier Tubes!